The Los Angeles Lakers saw their four-game winning streak come to an end in their last outing. Now after a couple of days to regroup, they’re looking to get back on the winning side of things before the All-Star break. Standing in their way is one of the NBA’s best, Anthony Davis, and the New Orleans Pelicans. With DeMarcus Cousins lost for the remainder of the season, even more responsibility has fallen on the shoulders of Davis who has been absolutely dominant over the last two games, both Pelicans wins. Davis had 44 points, 17 rebounds, six steals and three blocks against the Brooklyn Nets on Saturday, and followed it up with 38 points and 10 rebounds on Monday against the Detroit Pistons. 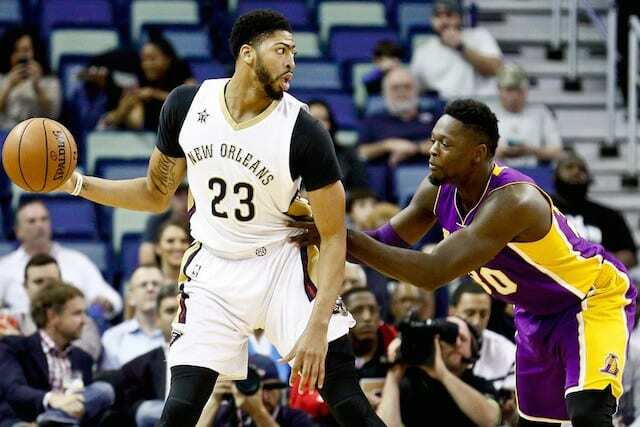 Containing Davis is much easier said than done, but what should be a main priority for the Lakers is making sure the Pelicans’ supporting cast doesn’t go off. In particular, the backcourt of Jrue Holiday and Rajon Rondo as well as the recently acquired Nikola Mirotic must be contained. Much of this is dependent on which version of the Lakers defense shows up. The one present during the winning streak, or the one that showed up in Dallas on Saturday. The Lakers continue to employ their big starting lineup with Brandon Ingram at point guard joined by Josh Hart and Kentavious Caldwell-Pope on the wing. That will give them a major size advantage as New Orleans uses a small three-guard lineup with no one above 6’4. Ingram’s length has given opposing point guards problems recently and he could be perfect to put on Rondo in order to limit his playmaking capabilities. Ingram will need to do that while keeping up his aggressive mentality on offense. His improved shooting from deep has been turning heads as he has made nine of his 11 attempts from deep over the last three contests. Speaking of offense, the Lakers will hope that their front court continues to produce the way it has been. Julius Randle has arguably been their best player as of late, but going head-to-head with Davis will present a whole host of challenges. Brook Lopez has also looked much better, averaging over 15 points over the last five games while shooting better than 40 percent from deep. One place the Lakers should have the advantage is with their bench. Isaiah Thomas looked much improved in his first game with the Lakers with 22 points and six assists. Kyle Kuzma has also been in double-figures in each of the last three games and continues to evolve his game in other areas. Mirotic is the lone threat off the New Orleans bench, but he is a dangerous one as both a shooter and underrated rebounder. 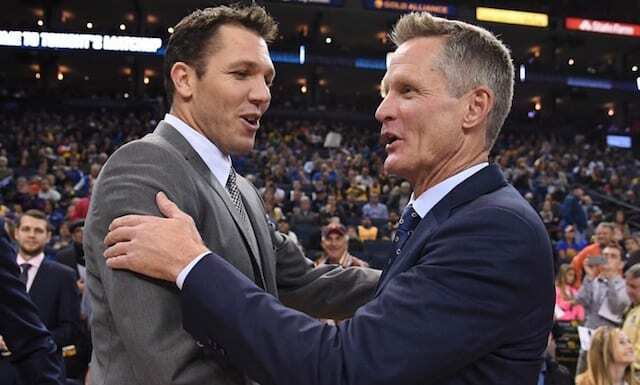 It will also be worth watching to see if Luke Walton expands his bench in this contest. Thomas, Kuzma, and Corey Brewer were the only players to get significant minutes on Saturday. This could be a game where Channing Frye makes his Lakers debut or even someone like Thomas Bryant gets a shot at some backup center minutes. Control the Glass: For the season the Lakers are a much better rebounding team, but the Pelicans have grabbed over 50 boards in their last two victories. Keeping Davis, Mirotic, and Emeka Okafor off the glass is key, as is containing Rondo who can start the break immediately after rebounds. The Lakers must rebound as a team, which always leads to their transition offense. No New Stars: When the Lakers defense isn’t locked in they can allow huge games from role players. Letting someone like E’Twaun Moore, Darius Miller, Ian Clark, or Emeka Okafor have a huge game would be proof that they simply aren’t dialed in on that side of the floor, and could easily lead to a loss. Keep up the Hot Shooting: The Lakers have shot over 35 percent from deep in four of their last five games, and over 40 percent in three of those. The improvements of Lopez and Ingram have been key and the additions of Thomas and Frye should only help even more. Against a team with plenty of capable shooters, the Lakers can’t afford to get dominated from behind the arc.